Home / Sports / Done Deal: Manchester United have signed Alexis Sanchez from Arsenal, in a swap deal with midfielder Henrikh Mkhitaryan. Done Deal: Manchester United have signed Alexis Sanchez from Arsenal, in a swap deal with midfielder Henrikh Mkhitaryan. 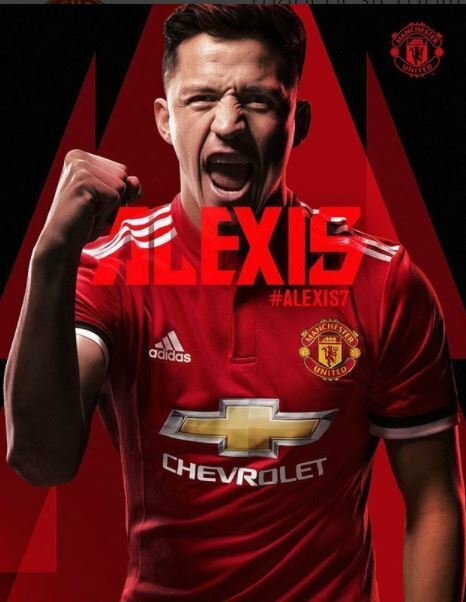 Sanchez, who almost joined Manchester City last summer, has signed a four-and-a-half-year deal at Old Trafford. The 29-year-old who will be paid £500,000 a week at United, has scored 80 goals for the Gunners since joining from Barcelona for £30m in July 2014. Mkhitaryan moves in the opposite direction to the Chilean, after scoring 13 goals in 63 appearances for United. The Armenia international joined United from Borussia Dortmund for £26.3m in July 2016. He has made only 10 Premier League starts this season as his relationship with Jose Mourinho broke down.